Rising U.S. interest rates and a strong dollar are among the factors plaguing precious metals exchange-traded funds (ETFs) this year. Gold and silver, the most widely followed precious metals, confirm as much. Among precious metals ETFs, the largest gold and silver ETFs are down 6.5% and 16.3%, respectively, year-to-date. Conversely, the Invesco DB US Dollar Bullish ETF (NYSEARCA:UUP), which tracks the dollar against a basket of major developed markets currencies, is higher by almost 8%. With 2019 almost here, some analysts are confident that the new year will bring better things for commodities, including precious metals. “Given the size of dislocations in commodity pricing relative to fundamentals with oil now having joined metals in pricing below cost support, we believe commodities offer an extremely attractive entry point for longs in oil, gold and base,” according to Goldman Sachs, reports CNBC. Here are some precious metals ETFs worth considering as rebound plays right now and in the new year. Expense Ratio: 0.4% per year, or $40 on a $10,000 investment. 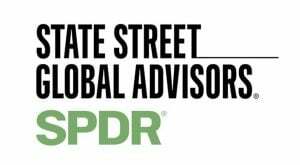 Home to $30 billion in assets under management, the SPDR Gold Shares (NYSEARCA:GLD) is not just the largest gold ETF, it is the largest commodities ETF of any type. Since coming to market 14 years ago, GLD has made gold investing more accessible and more cost-effective for a broader swath of investors. GLD has become such a force among precious metals ETFs and in the gold marketplace that some market observers now view ETF demand as a key driver of gold prices. GLD is trading lower this year, but has recently been able to establish a floor as gold prices plateaued around $1,200 to $1,220 per ounce. If the Federal Reserve slows its pace of rate hikes next year, GLD and other precious metals ETFs could benefit. 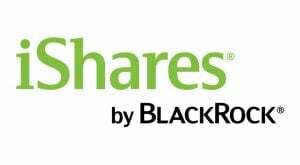 The iShares Silver Trust (NYSEARCA:SLV) is to silver investing what GLD is to gold investing. An interesting point about silver in the world of precious metals ETFs is that assets flowing into silver funds are usually stickier even though this white metal is more volatile than gold. While SLV is significantly smaller than GLD, the silver fund has added $82 million in new assets this year despite tumbling 16%. Another issue with silver is that about half of global silver demand is tied to industrial use, meaning the global economy needs to be strong to foster higher silver prices. The silver market is in a surplus this year, but that scenario could balance out next year as demand increases. Increased adoption of electric vehicles and solar panels are among the factors that could lift silver among precious metals ETFs in the years ahead. “Although the sector has seen some thrifting of metals used in solar panels, the sheer growth of the industry will drive silver demand,” according to Kitco News. Commodities are denominated in dollars, meaning a strong dollar usually weighs on commodities and precious metals ETFs. That has been the case this year, but the SPDR Long Dollar Gold Trust (NYSEARCA:GLDW) offers a way of coping with that scenario. GLDW, which is almost two years old, targets the Solactive GLD Long USD Gold Index. That index “is designed to represent the daily performance of a long position in physical gold and a short position in a basket (‘the FX Basket’) comprised of each of the Reference Currencies,” according to State Street. This precious metals ETF acts as hedge on dollar action against the euro, Japanese yen, British pound sterling, Canadian dollar, Swedish krona and Swiss franc. GLDW is an example of a pleasant surprise among precious metals ETFs this year as highlighted by the fund’s modest 2018 gain. The Aberdeen Standard Physical Platinum Shares (NYSEARCA:PPLT) is another example of a struggling precious metals ETF. PPLT, the first U.S.-listed ETF backed by holdings of physical platinum, is outperforming silver funds but lagging gold ETFs this year. Earlier this year, platinum prices tumbled to the lowest levels in 10 years and professional traders went heavily short the white metal amid speculation supply would continue to outstrip demand. Capital investment in South Africa, the world’s dominant platinum producer, has slumped for a decade, meaning miners there could struggle to take advantage of an unexpected surge in prices. Bolstering the long-term case for this precious metals ETF are factors such as waning mining activity and an expected increases in demand for electric vehicles. Investors looking for adventurous avenues among precious metals ETFs can eschew the commodities themselves and opt for miners. 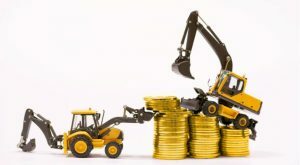 The Sprott Gold Miners ETF (NYSEARCA:SGDM) is an idea to consider, but as is the case with other mining ETFs, there are risks to consider. Notably, gold miners have a tendency to overshoot on the downside when bullion prices decline, as highlighted by a year-to-date decline of more than 25% for SGDM. 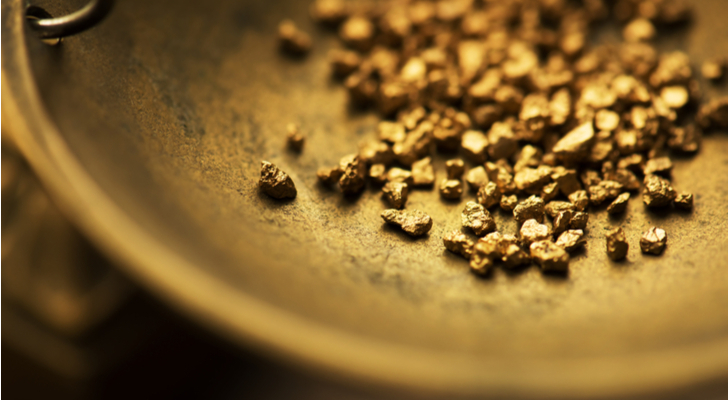 Rebounding gold prices will help mining funds, but there are some other potentially positive catalysts to consider. Notably, gold miners are trading at valuations that imply substantial discounts to long-term averages. Mergers and acquisitions activity is also picking up in the sector, providing a tailwind for gold miners funds. 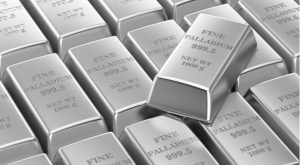 The Aberdeen Standard Physical Palladium Shares (NYSEARCA:PALL) is a star among precious metals ETFs this year with a gain of just over 7%. This precious metals ETF also recently hit a record, a something few rival funds can say this year. “The factors for palladium’s rise are all still in place — growing car sales around the world, popular small gasoline engines with palladium catalysts, big American [sport-utility vehicles] on gas with palladium, and South African platinum mine closures in the works cutting palladium production despite the good price,” said R. Michael Jones, chief executive officer of Platinum Group Metals Ltd., in an October interview with MarketWatch. Palladium demand is robust and the commodity is among those Goldman Sachs expects will trade higher in 2019. As is the case with gold miners ETFs, silver miners funds typically follow the underlying metal lower, explaining the year-to-date loss of more than 30% for the iShares MSCI Global Silver Miners ETF (BATS:SLVP). SLVP holds 29 stocks and tracks the MSCI ACWI Select Silver Miners Investable Market Index. This precious metals ETF is not for the faint of heart. SLVP’s three-year standard deviation of 44.69% is more than quadruple the comparable metric on the S&P 500. One stock — Wheaton Precious Metals (NYSE:WPM) — really charts the course for SLVP as that name accounts for almost 23% of this precious metals ETF’s weight. No other holding exceeds a weight of 8% in SLVP. 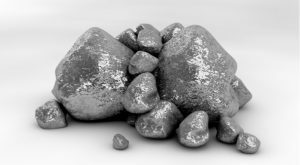 Article printed from InvestorPlace Media, https://investorplace.com/2018/11/7-precious-metals-etfs-to-consider-now/.